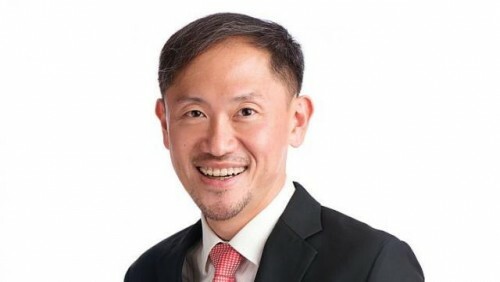 SINGAPORE - Singapore Press Holdings Ltd (SPH) has appointed Mr Anthony Tan as Executive Vice President of its Chinese Media group (CM). Mr Tan's appointment will take effect from Feb 1, SPH said in a statement on Friday. Mr Tan will oversee CM, which publishes three Chinese newspapers (Lianhe Zaobao, Lianhe Wanbao and Shin Min Daily News), four student weeklies (zbCOMMA, Thumbs Up, Thumbs Up Junior and Thumbs Up Little Junior), ZbBz Newsgazine, bilingual daily My Paper (Chinese section), UFM100.3 radio as well as Focus Publishing which produces a range of magazines including U-Weekly. In addition, he will also lead the editorial teams to strengthen and grow CM's digital products. CM also has a Cultural Industry Promotion department which promotes Chinese culture through community and arts events. Mr Tan studied in Maris Stella High School and Victoria Junior College. He graduated with a Bachelor of Social Science degree (First Class Honours in Political Science) from the National University of Singapore in 1997, and a Master of Science degree in Management at Stanford University in the United States, in 2005. Mr Tan has worked in many public sector organisations throughout his career, including Ministries of Home Affairs, Finance and Manpower and the People's Association. Mr Tan was also concurrently the Special Assistant to Mr Lee Kuan Yew from 2011 till Oct 2014. He has also been actively involved in statutory and private organisations like IDA International, Lee Kuan Yew Fund for Bilingualism Ltd and Ngee Ann Polytechnic.